Most of my life I have done crafts, sewing or something creative with my hands. At school I loved it and felt most confident when we got to make something. As a little girl I remember sitting by my Mum as she sewed on the sewing machine. I also had an Auntie Jean (Mums sister) who was an incredibly talented dressmaker. I remember being in her sewing room and just being in awe of all her patterns, fabric and sewing paraphernalia. Then as a teenager I started making some of my own clothes. I remember I was going out one Saturday night with my new boyfriend and I wanted something new to wear, so that morning I decided to make a new dress. Yes, that evening it was finished and I proudly wore it out. I also remember making a formal dress to wear to a girlfriends wedding and still taking the hem up as we drove into the church car park. As I got older I discovered many more crafts I wanted to try. It got to a point where I had started so many things that I hadn't finished my sewing room was almost overflowing. I still do have quite a lot of unfinished projects (I think a lot of crafters do) but at least now I am either getting rid of what I won't finish or I am actually finishing them. 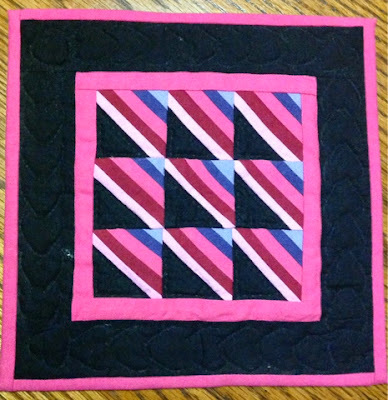 One of my many craft passions is Patchwork / Quilting. I first learnt patchwork while living in Toronto, Canada back in the 80's. We then moved to New York and my passion not only continued but grew. There was nothing better than driving down to Amish Country and buying fabric and admiring some of the amazing work the Amish woman created. 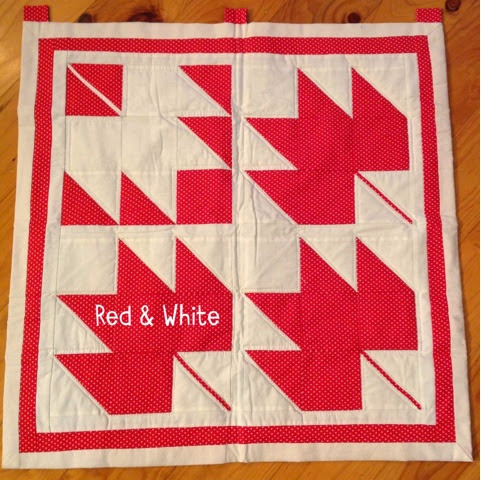 When we eventually came back to Australia to live my patchwork passion continued and I also started teaching patchwork at the local Living and Learning Centre and at home. At the Living and Learning Centre I used to teach a Quilt in a Night class. We would start the class at around 7pm, have dinner, quilt all night, have breakfast and finish up around 7am. It was totally exhausting but so much fun. 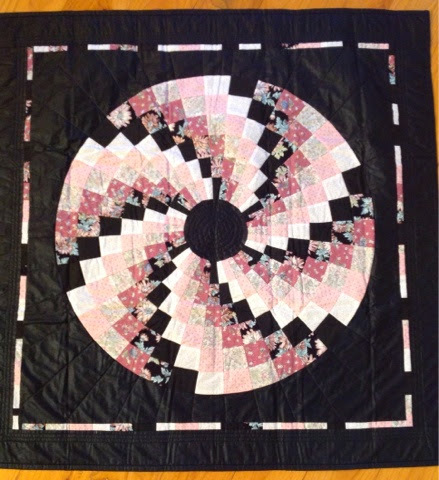 Now at 61 I am still doing some patchwork but I like my sleep to much to do an all nighter again. 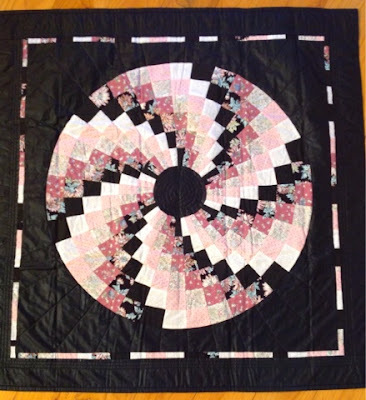 I don't know how many but I have finished quite a number of quilts and have either kept them, but mostly given them as gifts. Here are just a few of my finished project I still have. 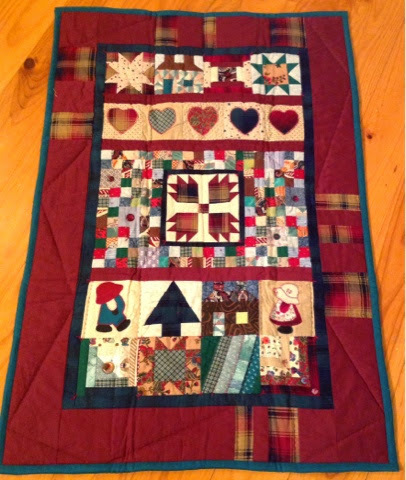 My first attempt at patchwork was my Maple Leaf wall hanging. 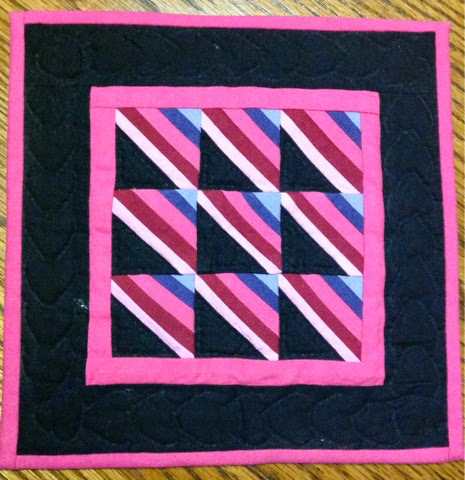 This is my miniature Amish Quilt, it's actually only 6" x 6"
Are you a quilter? Have you ever given it a try? 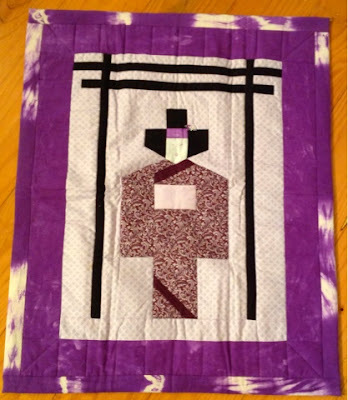 If so I'd love to hear your story and see some of your quilts.